The environment, recycling, and the Millennium Development Goals (MDGs) were the main topics covered at this event, promoted by Humana's Education for Development Department. 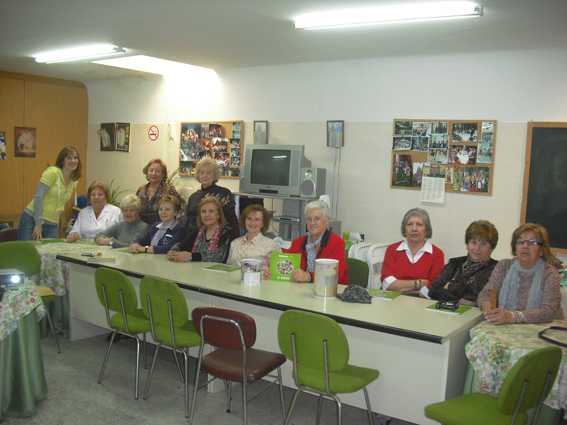 On March 29, Humana Fundación Pueblo para Pueblo organized a workshop with the Women's Association for Democracy in Aranjuez (Madrid) entitled 'You make the world' and dedicated to the environment, recycling, and the Millennium Development Goals (MDGs). The MDGs were adopted by 189 nations and signed by 147 heads of state and government at the Millennium Summit of the United Nations in September 2000. The women who were present at the March 29th meeting were very interested in topics such as climate change, the importance of recycling and waste collection (including textiles) to promote environmental protection, and the benefits of reducing C02 emissions. After the meeting, there was a brief discussion in which the audience also expressed their interest and concerns related to these topics. This conference was promoted as an element of ? ?Education for Human Development, which is based on three main concepts: climate change, the MDGs, and recycling. The actions carried out under this program are aimed primarily at children aged 7 to 15 years, their families and teachers, and related associations. The Education for Human Development program is a Humana innovation that compliments the continuing clothing and shoe collection campaigns being implemented with the Fundación's municipality partners, which include Aranjuez.